The need for mixing different paints arises when one needs to perform some paintwork, but is not satisfied with standard colors available in the market. In addition, mixed colors are more subtle and convincing. Let us consider the basic techniques used in paints mixing, as well as the equipment used for this purpose. There are the so-called basic colors, which cannot be obtained by mixing others. These are red, blue and yellow. Mixing these colors, we get complementary colors: green (blue + yellow), purple (blue + red), and orange (red + yellow). The main difficulty in this case lies in basic colors not being absolute, i.e. there are different shades of them. Complementary colors are mixtures of two other colors. When adding a third color, a mixed color is obtained. 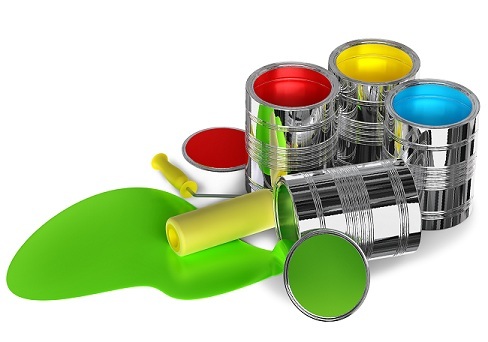 In order to mix paints, different equipment can be used, but not all equipment can to give the expected result. Electromagnetic mills provide dispersion of solid particles with simultaneous particle activation. This feature can be used for mixing of paints very efficiently. The process of pigment grinding is accomplished simultaneously with the process of ferromagnetic particle surface grinding. This is not applicable for white or light-color paints. However, metal additive does not impair the properties of paints of different colors, moreover, it can even improve them. The devices were tested on mixing of water-based paints, which contain chalk, talc, titanium dioxide and ultramarine. Tests have shown that paint can be prepared by several minutes of treatment in the vortex layer.